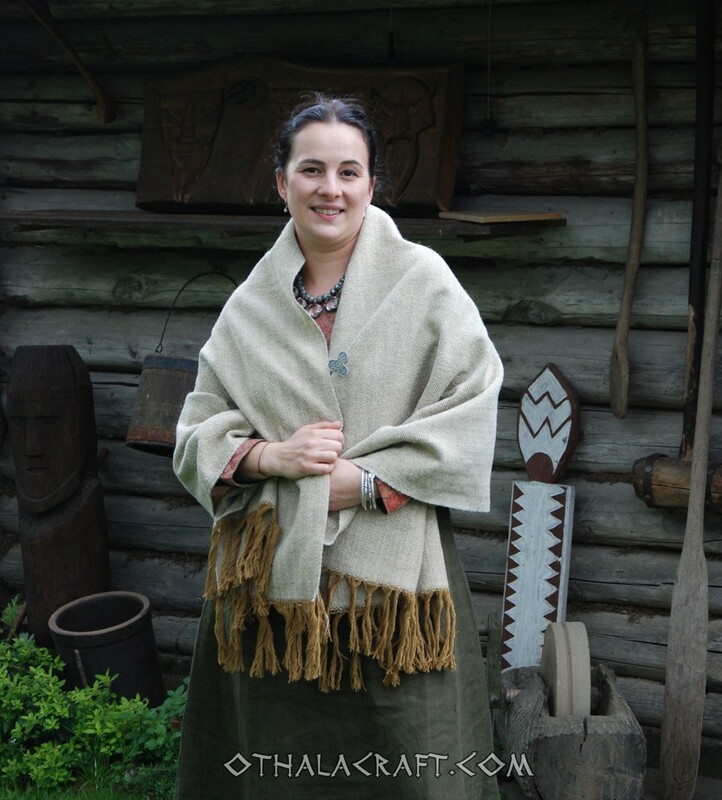 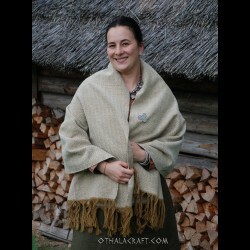 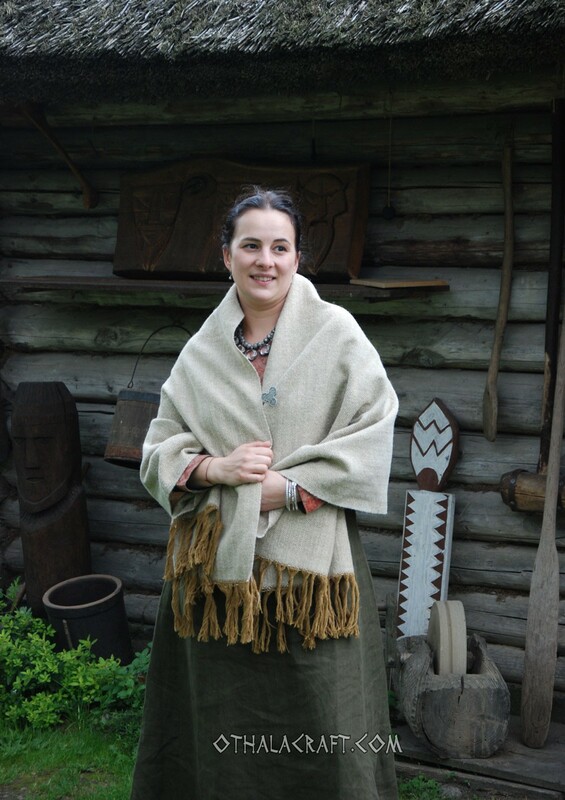 Hand woven shawl in herringbone pattern. 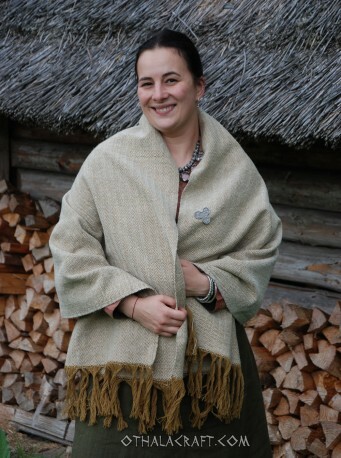 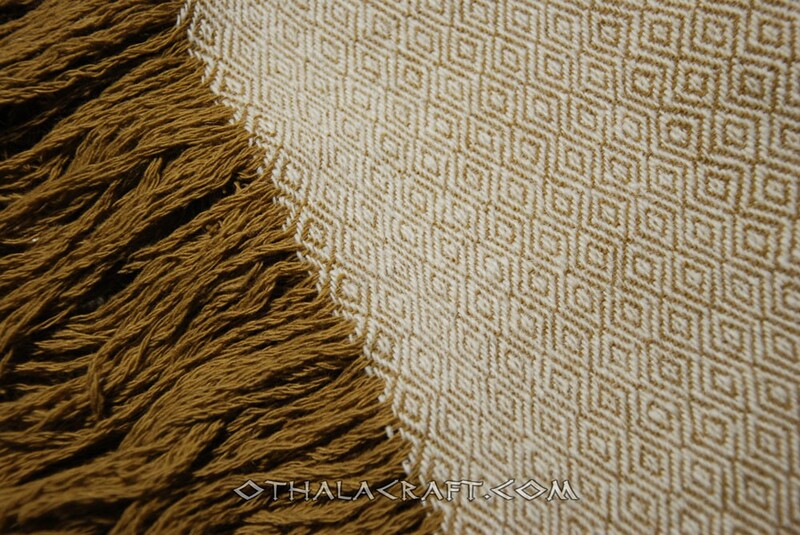 Shawl made of 100% wool, hand woven in diamond pattern. 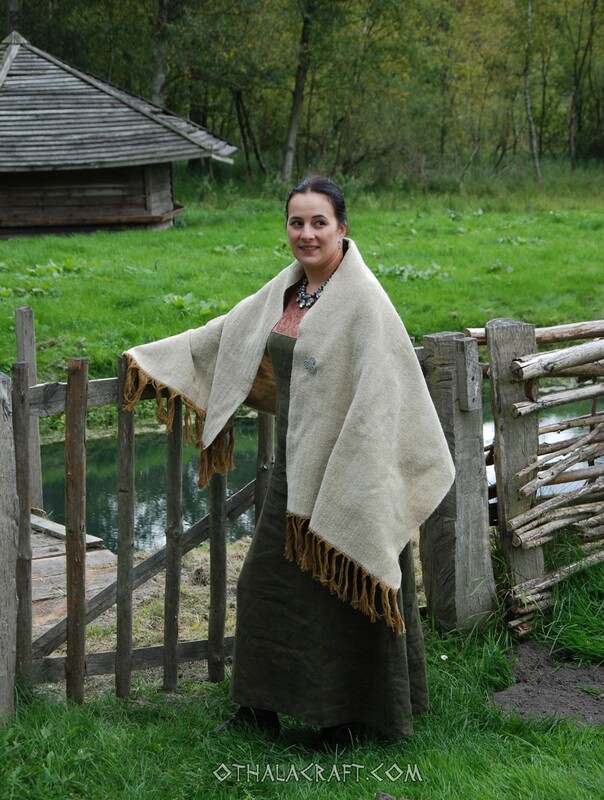 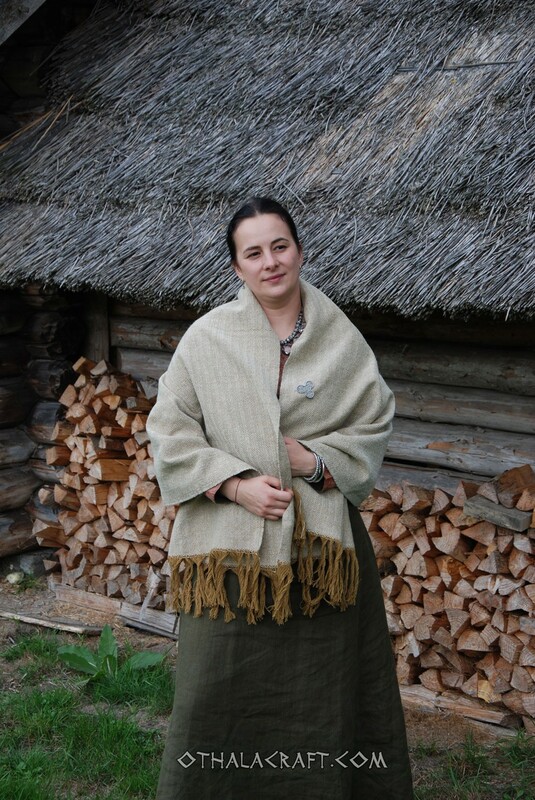 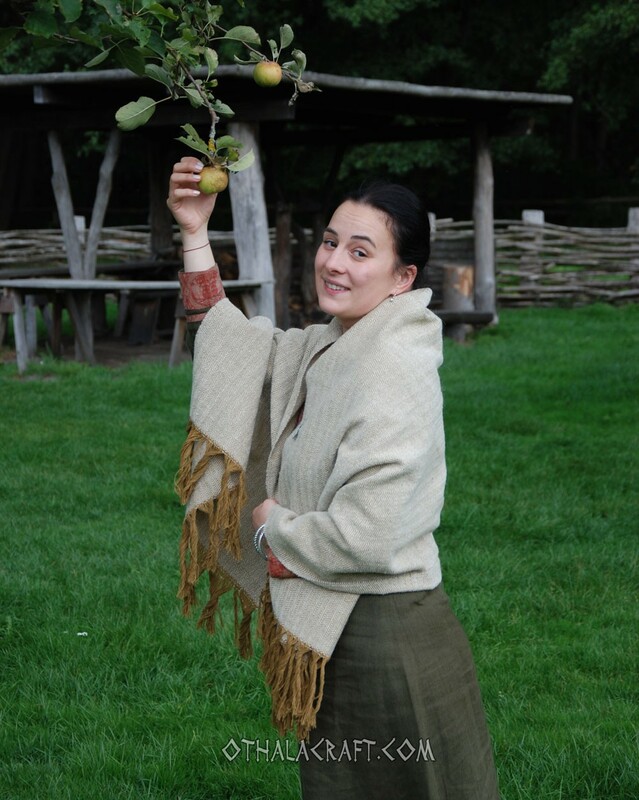 For this shawl it has been used two colors of yarn: ivory and light brown. 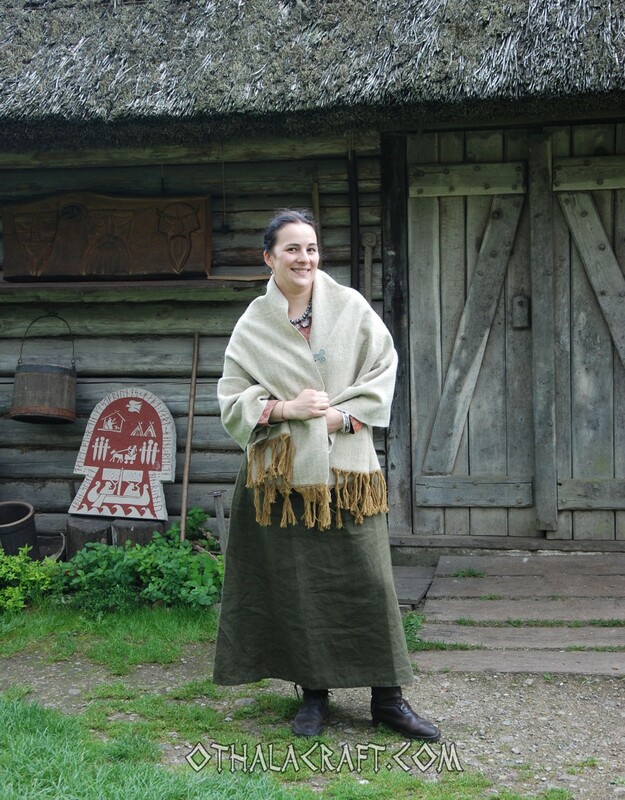 Pattern of fabric known from Viking Age and pre-Viking Age.